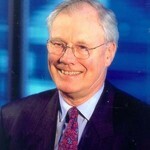 Spending 40 years of his working life in the pharmaceutical industry to which he was fervently committed, Pat Clear had a passionate belief that the industry held an important place in Australian society, not just through the provision of medicines, but as a tool of social policy to make the country a fairer place for all. Pat, who died aged 67, was for five years chief executive officer of the Australian Pharmaceutical Manufacturers Association, now Medicines Australia. From his earliest years he was active in industry affairs and worked on sub-committees that had the aim of improving the self-regulation of industry activities. He was a member of the Board of the APMA for 15 years while advancing his career through a number of companies, which culminated in his appointments as pharmaceutical director of Burroughs Wellcome, where he worked until 1995. As chief executive of the APMA, Pat was involved in significant advances in industry-Government relations, during which changes in the Patents Act created a new regime specifically for pharmaceuticals, the Government Industry Support Scheme was extended and data protection for the industry was enhanced. In early 2002 Pat Clear left the chief executive’s position, immediately taking up the role of part-time, non-executive chairman of the APMA. Pat was not without a sense of humour. One day in the halls of Parliament House, he and a colleague had had an encounter with the Federal Treasurer, Peter Costello, after which Pat said: “Well, we will be able to report to the APMA Board a full and frank exchange with the Treasurer and that we reached complete agreement on the points raised.” In fact the agreement had consisted of a mutually exchanged “good morning” as Mr Costello hurried past. His contribution to the work of the PBAC was summarised by its chairman, Professor Lloyd Sansom. “We have lost a colleague of enormous integrity, commitment and professionalism, a man of honour and one of life’s gentlemen; we have been enriched by his presence and are poorer for his loss. He will be sadly missed.” No one will argue. In the future deliberations of the Board at Medicines Australia there will forever be that man of honour, that gentleman, our colleague, watching over decisions that affect the industry to which he made such a major contribution.